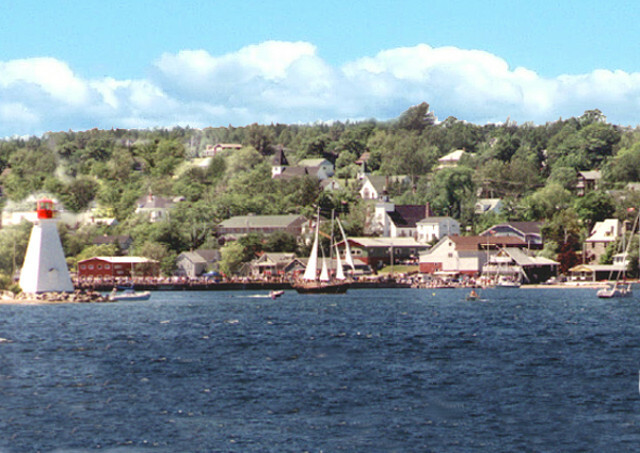 Baddeck is a picturesque, vibrant little village right in the heart of Cape Breton Island set on the shores of the great inland sea known as the Bras d’Or Lakes. Baddeck is widely known as ‘the beginning and end’ of the famous Cabot Trail, a magnificent scenic drive along some of the most stunningly beautiful coastline in the world! Or take advantage of Baddeck’s central location by making it your base as you discover nearby attractions like Fortress Louisbourg, Highland Village, the Acadian Village of Cheticamp, and the Margaree River Valley. Plus, in Baddeck, you’re within a short drive of many fantastic sandy beaches!